The very nature of the game means no table is eternal. Even the highest quality equipment will at some point be in need of maintenance. The same holds true for luxurious pool tables needing serious renovations. This is particularly true for players who often host games or tournaments. Getting great life out of your table isn’t a sign you’ve overused or neglected it either! Upkeep is a must-have both from an aesthetic perspective as well as a performance one. Your beautiful vintage custom-made cue sports table isn’t unique in this way either. In fact, it’s quite like a classic muscle car or an antique piano. No matter what your game of choice is or preferred company to play it, we’re eager to assist you. If you’re undecided on how you might want to proceed with parts or repairs, no worries either. We’re happy to offer our expertise in presenting options that suit your taste and budget as well. Either way, it’s worth honouring the importance of maintenance in every game you enjoy and play. At times, it’ll be the smaller and more intricate parts like pockets. Other times, larger tasks like slate honing or rail conditioning will be necessary. Either way, your table will be in peak form on our watch and under our care. Whether we built the table or not matters far less to us than quality service. We know better than to let any ego we have in our work disrupt excellence in service. Materials and craftsmanship that are a cut above. The majority of our custom designs are themselves whole tables. That should assure you we understand the sophisticated relationship between table parts. How it all fits together matters and every millimeter can make all the difference. We’ve mastered the art of matching existing decor too. Different woods, materials, and compounds can create impressive end results. We also have an exclusive proprietary hot oil and wax finish that has earned us accolades and acclaim in the industry. These special offerings galvanize the protection we offer and your table needs. This can’t delay maintenance forever, but it can extend the usable lifespan of your table dramatically. Ensure your table’s details are part and parcel. 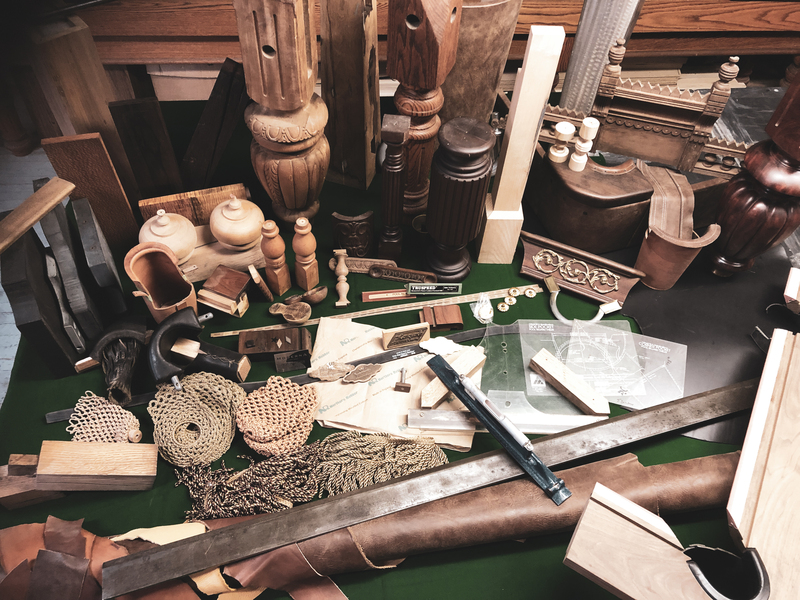 Your table and equipment deserve to look and feel superb every time you play. Entertaining and impressing guests shouldn’t ever make you worry about your billiards table. Have confidence in the performance of your table. Cue the music and hit that cue ball with confidence your table’s odds and ends will be able to keep up along the way. We specialize in hard-to-find or impossible-to-replace components. This is particularly so for antique and vintage tables. Our dedication to authentic reproduction can be a huge relief when you want a precise look. We’re neither a time machine nor would we pretend to be one, but we do our best to come as close as we can in our insatiable appetite for excellence. Call us now if you’re ready to get started on your next repair or would like to find out more about our approach to maintenance.